Easily installed, cost-effective and versatile. 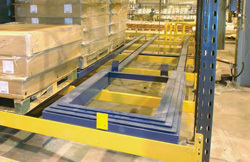 Adjustable beam racking is the most widely used of pallet storage systems and allows direct access to each pallet stored. 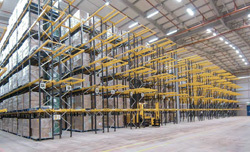 By selecting from a wide range of sizes and duties for standard frame uprights and beams, Palletstor racking can be configured to meet precise criteria in terms of load volume and weight, accessibility, handling requirements and space utilisation. Palletstor pallet racking in its standard form provides safe, cost-effective storage for many different kinds of goods and materials. But for increased versatility Palletstor also offers a range of practical add-on accessories to make the storage and handling of goods even easier. 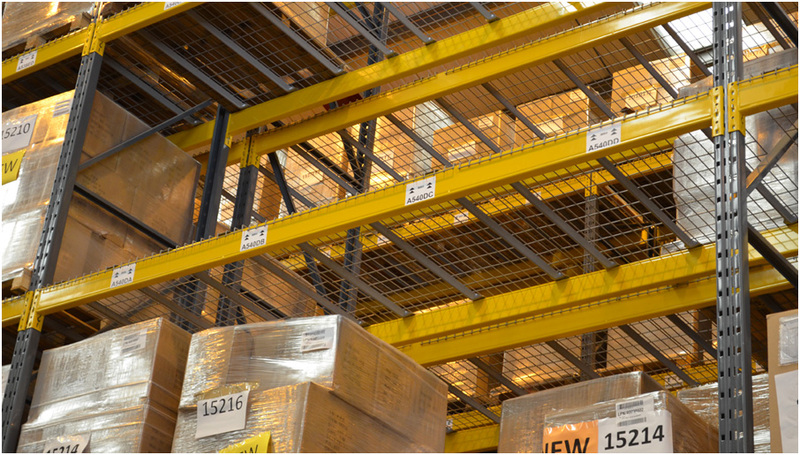 Easily installed, cost-effective and versatile, wide aisle racking is the most widely used of pallet storage systems and allows direct access to each pallet stored. 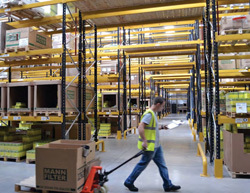 With adjustable beams, racking can be re-configured to accommodate changes in the type of goods stored and wide aisles allow access by all types of truck, making specialised handling equipment unnecessary. 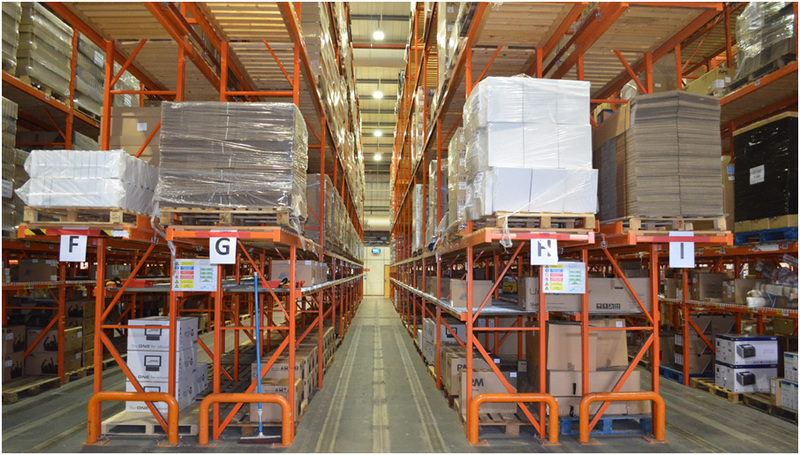 By allowing fork lift trucks to operate in aisles up to half the width required in conventional adjustable beam pallet racking, Narrow Aisle Palletstor makes excellent use of floor space and maximises the height at which goods can be stacked. 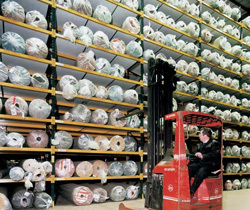 Using specialised lift trucks in either ‘man-down’ or ‘man-up’ variants, narrow aisle racking is precision designed for safe, efficient load handling within the tight confines of these space-efficient aisles. Guidance rails or wires fitted at floor level ensure precise positioning of trucks. This has the multiple benefit of improving safety, whilst minimising the incidence of accidental damage to racking as well as improving the speed and accuracy of load handling. 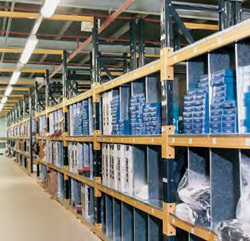 A variant on standard adjustable beam racking, Double-deep Palletstor, as the name implies, allows pallets to be stored two deep but still accessible from the same aisle. 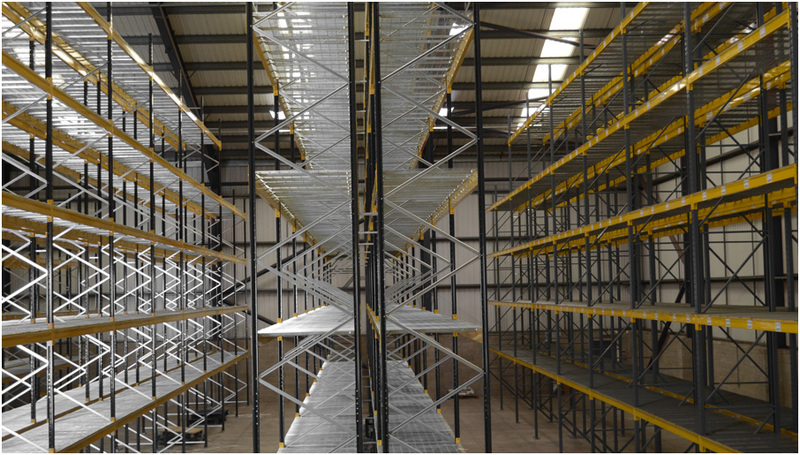 By reducing the number of access aisles and using the space saved to accommodate additional racking, a Double-deep configuration provides a highly space-efficient storage system. This first-in, last-out system, used with an efficient stock management system can offer the advantage of the increased storage density. Palletstor drive-in racking provides a highly spaceefficient solution to the storage and throughput of palletised goods. Pallets are stored on guide rails in the depth of the racking and forklift trucks enter these ‘storage lanes’ to deposit or retrieve loads. Access can be from one end (the true ‘drive-in’ configuration) or from both ends (‘drive-through’, for improved stock rotation). Racking heights up to 11 metres allow the full height and floor area of the building to be used to provide maximum cubic storage space. 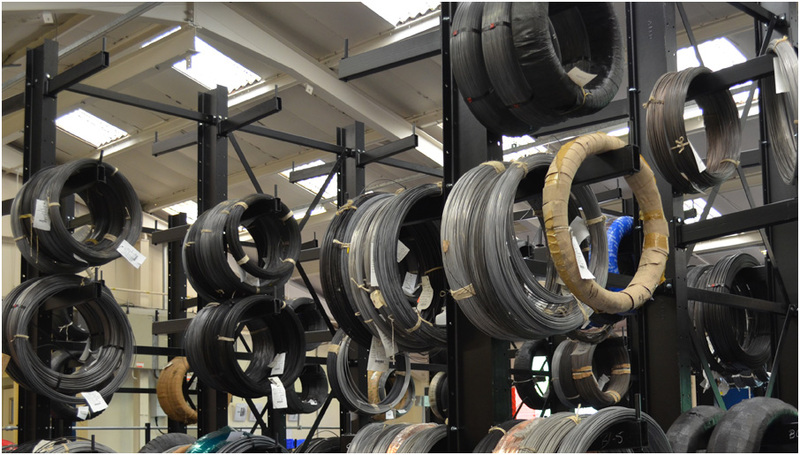 Drive-in racking - the ideal solution for optimum space utilisation without requiring specialist handling equipment. 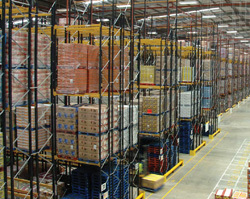 Carton live storage or ‘flow racking’ operates on the same principle as pallet live storage, but is used for stock which needs to be hand-loaded and picked. Live storage systems reduce order picking times and help minimise errors, as not only are items presented precisely at the picking face, but effective management of the throughput and stock levels of goods can also be easily maintained.protected, silver-based. 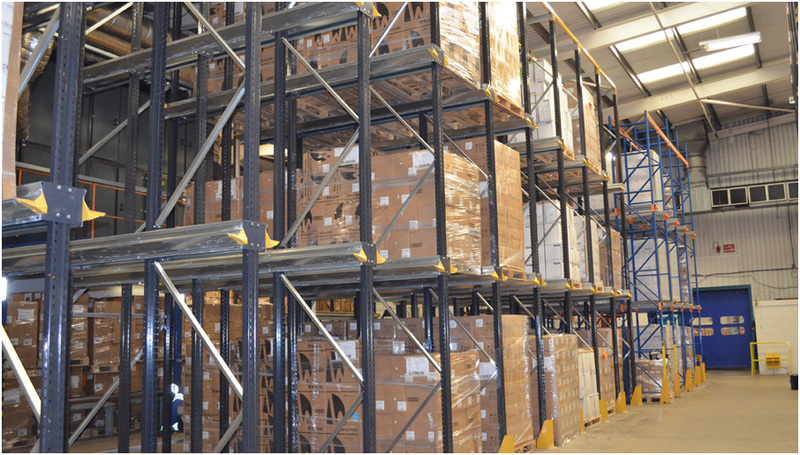 Effectively utilising floor and cubic space, dynamic Push-back racking is amongst the most space and time-efficient pallet storage systems available. Pallets are loaded in sequence onto wheeled carts or rollers and are pushed back along inclined beds. Pallets can be stored up to 4 deep on carts or 10 deep on rollers and when a load is retrieved the remaining pallets move forward into position at the picking face. 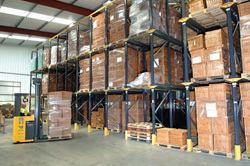 Pallets are retrieved on a ‘first-in, last-out’ basis and with each product having a dedicated lane, Dynamic Push-back racking is particularly useful in marshalling areas, and for long-term bulk storage and handling. Working on a first-in, first-out basis, dynamic Live Palletstor provides extremely high levels of storage density in a given area. Pallets are loaded onto dedicated lanes of inclined gravity rollers which are set at a fixed gradient. When a load is taken from the picking face, the next pallet rolls into position, with replenishment stock loaded at the opposite (upper) end of the lane. Stock rotation is therefore automatic with the minimum of fork lift truck movements required to handle the flow of goods. 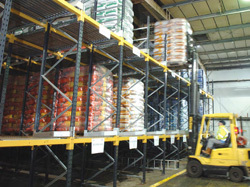 Shuttle storage is an alternative to Drive-In, Push Back or Pallet Live racking systems. These systems, though efficient, are limited by the length of the storage lane that can be practically achieved. The shuttle storage solution overcomes this by storing pallets within a system that can operate to greater depths. The racking features guide/support rails which run the depth of the rack structure on which an automated shuttle travels. The shuttle is easily moved between lanes by a standard fork lift truck. Pallets are loaded onto a shuttle at the front of the lane, which transports the pallet down to the other end. The in-built sensors on the shuttle detect the position of previous pallets and places the new load at a predetermined distance from them, before returning to the start face. The shuttle movements are sent via the radio remote controller allowing the forklift truck and driver to be released to other tasks while the shuttle operates. Whilst providing the ideal means of storing palletised loads, the versatility of the Palletstor system means large, bulky or simply awkward to store items can be accommodated using the most accessible and space-efficient methods. Combinations of standard components and accessories with specialised ‘bespoke’ items create successful solutions to what may initially appear to be the most difficult of storage problems. Raised platforms and ‘tiered’ systems also provide a cost-effective means of utilising the height of a building thereby maximising the storage capacity for a given floor area. Create more storage space without increasing floor space - by building upwards! Raised platforms and ‘tiered’ shelving systems provide a costeffective means of utilising the height of a building for storage, thereby potentially doubling the capacity of a given floor area. 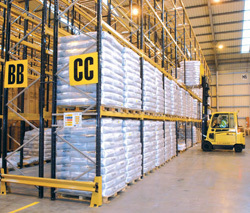 With integral walkways, stairs, safety rails and any number of shelf positions, these raised structures can be used as finished goods or component stores and also for order picking, where powered or gravity conveyors can be incorporated to move the selected goods swiftly through and on to despatch. The strength, structural integrity and versatility of these structures is provided by Palletstor and Longspan heavy duty shelving ranges which can also be used to create versatile wide-bay open shelving or binning systems in conventional floor-level configurations.